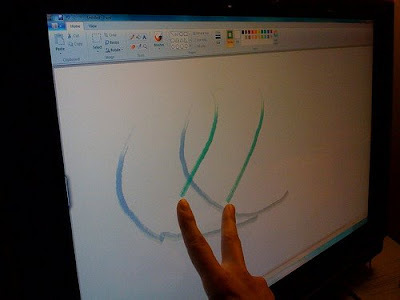 Multi-touch (MT) is a big part of Windows 7. MT is exciting and opens up new choices for UI interaction but the enthusiasm will quickly fade if you don’t have a multi-touch enabled monitor. The good news is that there are multi-touch devices coming soon to your favorite hardware dealer. Hardware vendors like HP, Dell and Albatron want to have their products available before the October 22nd, 2009 release of Window 7. DigitTimes reports that a number of companies will be competing for a place on your desktop. Touch panel makers, including eTurbo Touch, Mildex Optical, and Integrated Digital Technologies (IDT), are showcasing multi-touch technology supporting Microsoft Windows 7 at the ongoing Computex 2009. The touch panel makers are introducing improved capacitive touch panels for medium- to large-size products, with prices 50-60% more than traditional capacitive touch panels and 60-80% less than projective capacitive touch panels, according to market sources. 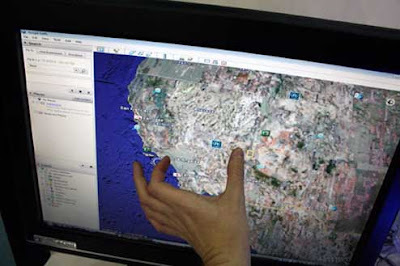 One of the biggest obstacles in programming and testing a multi-touch (MT) application is enabling developers who don’t have MT computers to interact in a simulated MT way. The Surface team solved this problem by creating a Surface emulator. Since the Surface has a five camera vision system buried in the depths of the table they needed to create a emulator that mimics that camera system on a normal PC. It’s similar if you plan on adding MT to your Windows 7 application. For various reasons your dev team may not have MT devices for all team members. Both testers and developers need a way simulate user touches from their legacy hardware. Unfortunately there is no official emulator available from Microsoft. But there is a third party work-around that solves that problem. Exquisite innovative technology and put to best use I say.thanks for the lovely update.